1. St. Alban’s Episcopal Church in SunnyBrae is pleased to announce that at our recent Annual Meeting the congregation voted unanimously to become a Welcoming Church. This designation means that we are a Christian community that fully welcomes gay, lesbian, transgender, and bisexual people and their participation in all areas and at all levels in the life of the congregation. The vote was taken after a year of thoughtful exploration, study, and deliberation. We plan to live into the promise of being a Welcoming Church by participating in the annual Gay Pride parade, conducting a November remembrance of murdered transgendered folk, advertise our welcoming status through signage and brochures, create space in our library for books and DVDs on LGBT subjects, and continue to offer Forums on LGBT topics of interest. We invite LGBT folks to visit us at 1675 Chester Avenue, Arcata, California 95521, Telephone: (707) 822-4102. 2. Many members of Saint Alban's work to serve the needy and vulnerable in the community. 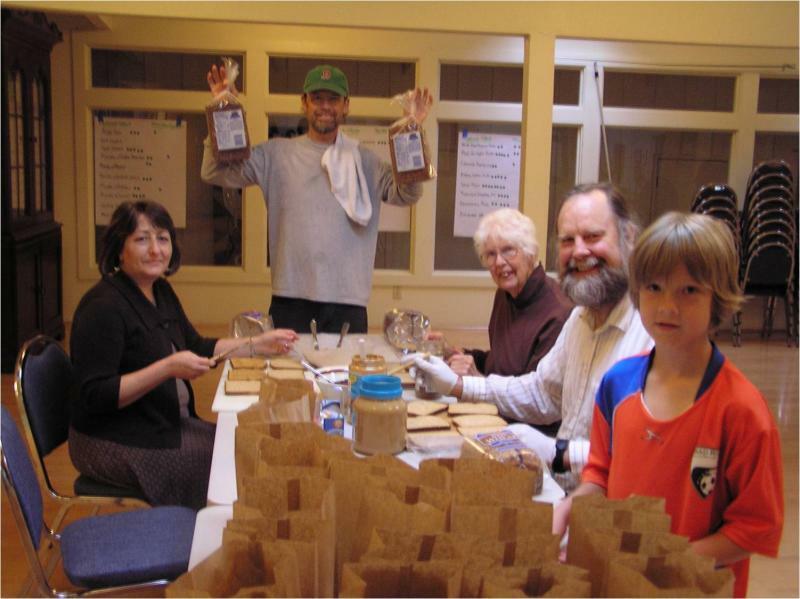 Several members of the congregation regularly cook meals for the Arcata Night Shelter, the only organization providing temporary emergency shelter in Arcata. 3. Each year members of Saint Alban's contribute food to the Community Thanksgiving Dinner at the Veteran's Hall. 4. In April of 2011 Saint Alban's initiated Street Meals a ministry to those who are hungry in our community. 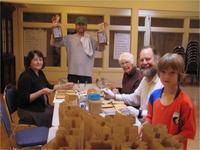 Every Friday parishioners meet at Saint Alban's to prepare bag lunches. The lunches are then distributed in Arcata in conjunction with the food box distribution by Food for People at the Nazarene Church at the corner of 13th and Union Streets. Native Ministry and Wiyot Massacre.